Our van is in the shop. It let us know it needed some affection only a mechanic could give it, so my little guy and I have been home. A lot. Last year we went through some significant vehicle issues, so I’m no stranger to living with limited transportation. Unsurprisingly, it is not my favorite way to live. I’m very grateful for a good house to live in, but sometimes I wouldn’t mind seeing a little less of it! We have 2-3 more weeks to go and I’m already starting to go a bit stir crazy, so my son and I headed out with for a walk. He brought snacks and I brought my camera. 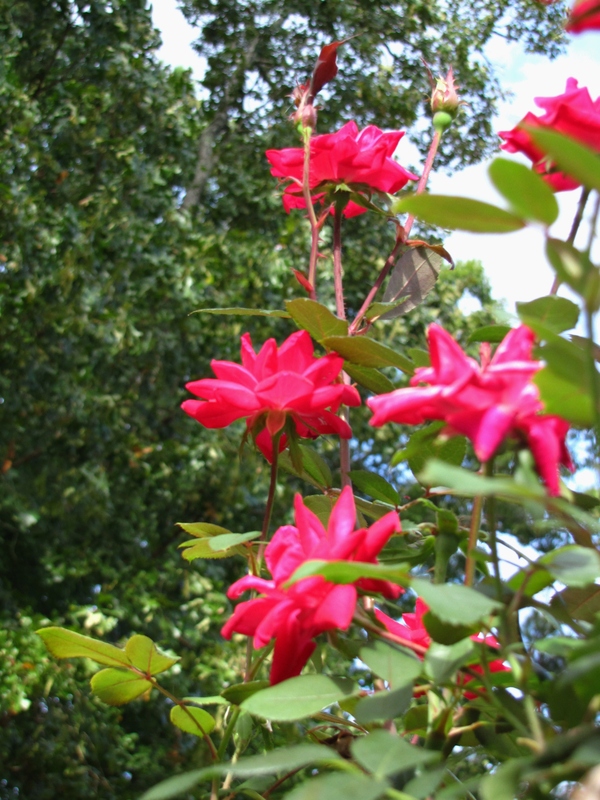 When approaching craziness or discouragement (or a host of other things) it’s good to search for beauty! It’s a balm for the soul. 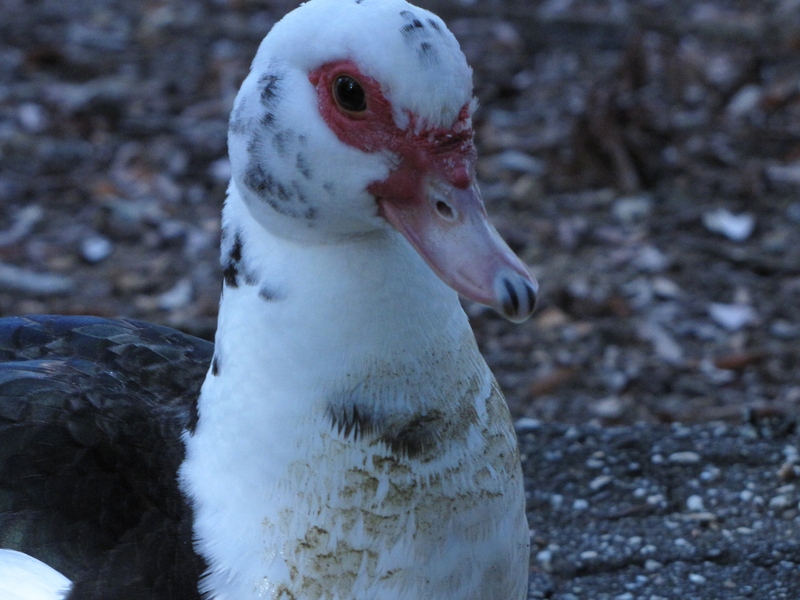 This guy was tolerating me in hope of getting some food. Sadly, it was a total letdown for him. 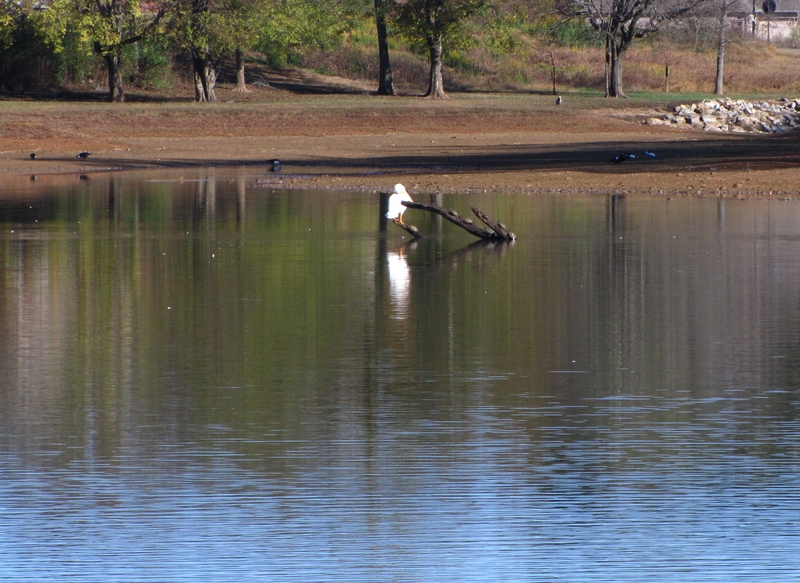 Ahh…Fall…and the migration of egrets. 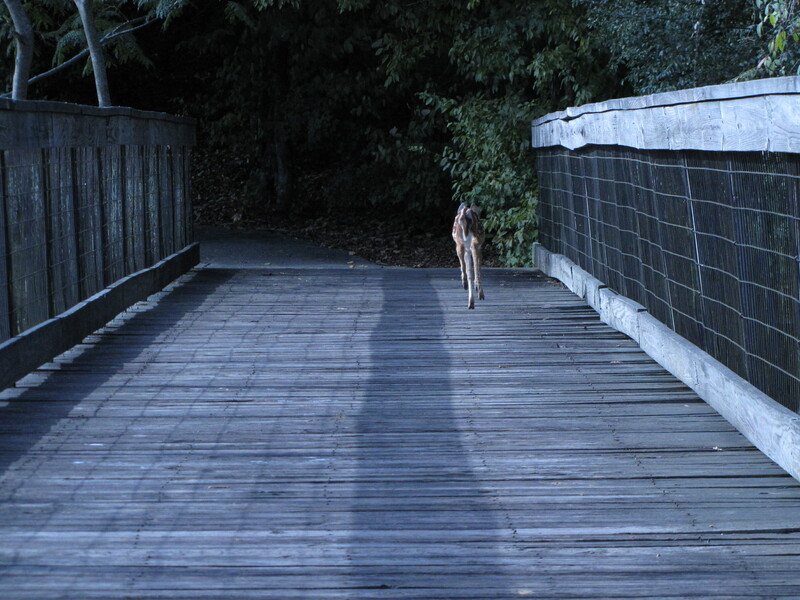 We walked onto the bridge and there was a little doe standing there. He moved fast, but man, was he cute! It was a great surprise for us. 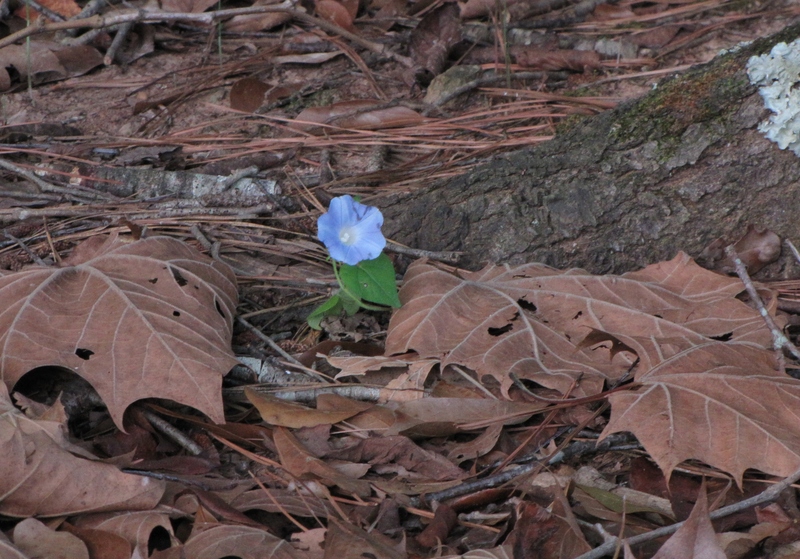 In a sea of brown there was one blue flower. Way to defy your environment, little flower! 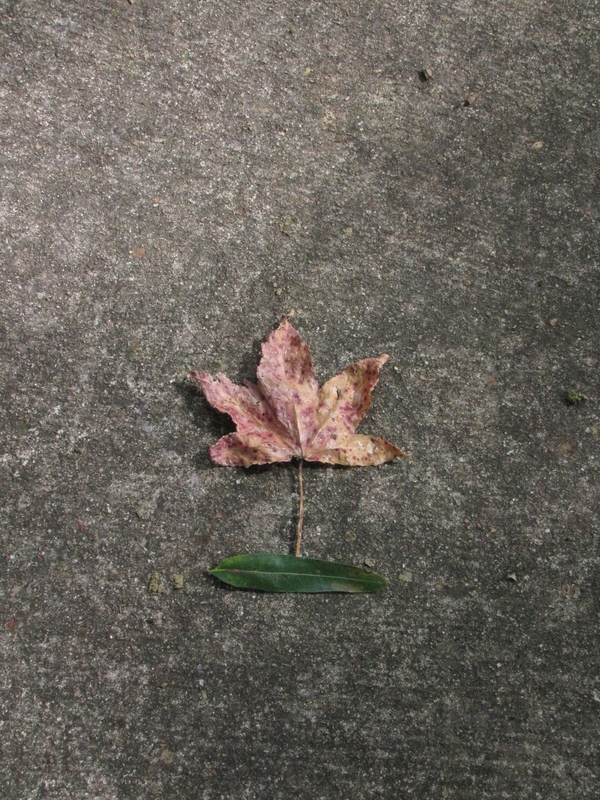 As we were walking home we noticed these two leaves which had landed in this position on the sidewalk. It looked like a flower or miniature tree or something. At any rate, I thought it was cool. And one more picture. Cause it’s pretty. I can’t say the craziness has been completely averted, but it’s at least been reduced a little bit! Last night my son asked me to come out and see a Mockingbird in one of our trees. Around here Mockingbirds are common, as in all over the place. I think they’re pretty cool birds…any bird that make all the sounds it does has to be awesome. However, he asked while I was having a conversation with DH, who’d only been home from work a few minutes. 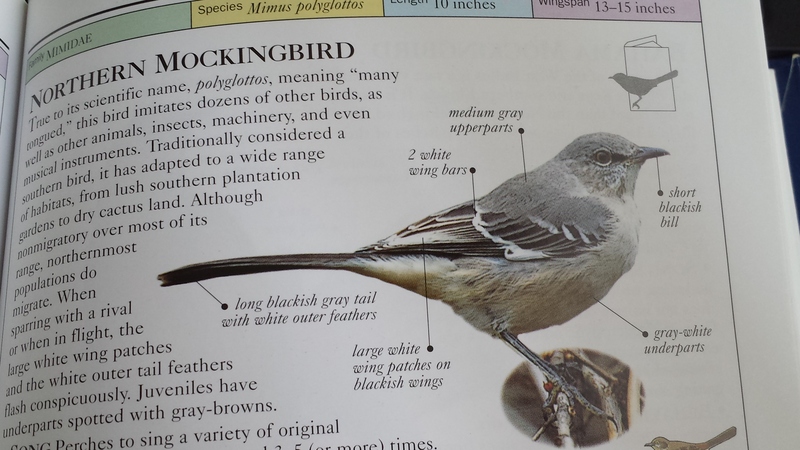 Plus, the same child and I had watched the same mockingbird in the same tree just a few hours earlier. As a result, I wasn’t overly thrilled to go running outside with him. Thankfully I’m sometimes wise enough to go with what my kids are excited about and I went outside. Part of the scene when I got there was just what I expected…a Mockingbird singing beautifully in the tree where he sings every day. However, the scene in our driveway was gorgeous. Leaning on the recycle bin stood my oldest son and on the pavement next to him lay my two younger children. All three were just hanging out watching/listening to the bird. It was a precious thing. I smile just thinking about it. I’ve heard lots of birds sing; sometimes I listen carefully, often I don’t. But I’m so glad I took the time to listen last night. I got to see my children enjoying God’s creation, which was more beautiful to me than any bird could ever sing. Several years ago I developed a passion for bird watching. It’s a simple thing I found to be really centering, so to speak. I discovered bird watching was a way to find beauty anywhere because they are everywhere. For example, it might seem like a dirty part of the city, but birds are still there. An empty field…more birds. Near my hometown there’s a wastewater treatment plant that is a great place to see unique types of birds! Spotting a bird reminds me of the beauty God created. 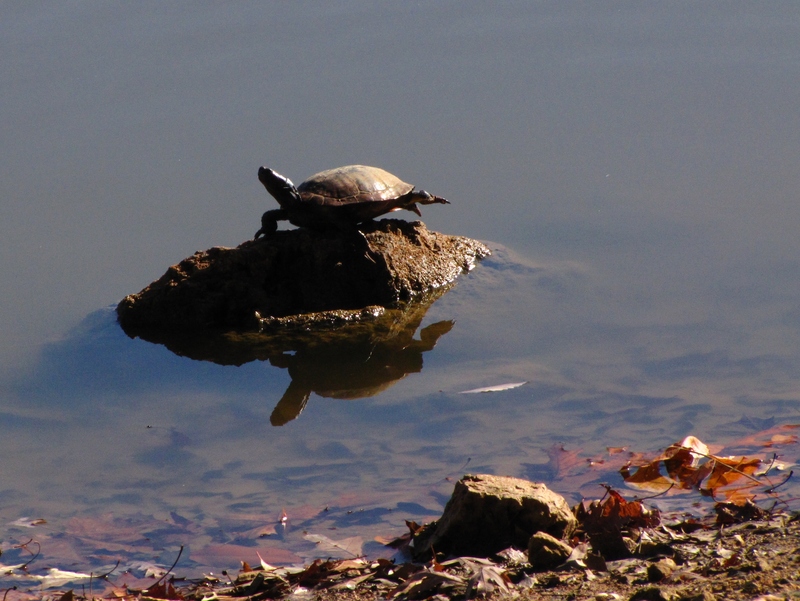 This morning I went for a walk around the lake pond near our house and discovered a visitor. I didn’t have a camera with me other than my phone (which is horrible for pictures), so I went back later with my 3 yo. One of the awesome things about being a parent is introducing your child to the world. Helping them discover is truly an amazing experience. I don’t usually try to ‘bird watch’ with my kids around, other than in our yard, because kids generally don’t love to sit quietly. Or walk quietly. Especially if they see a pine cone. or a bug. or a stick. or a leaf. or anything else remotely interesting. While this trait is absolutely fantastic, is doesn’t lend itself well to bird observation. Okay, that’s not entirely true. It does allow one to see how quickly birds can scatter and hide…. …until my sweet boy forgot to be quiet. 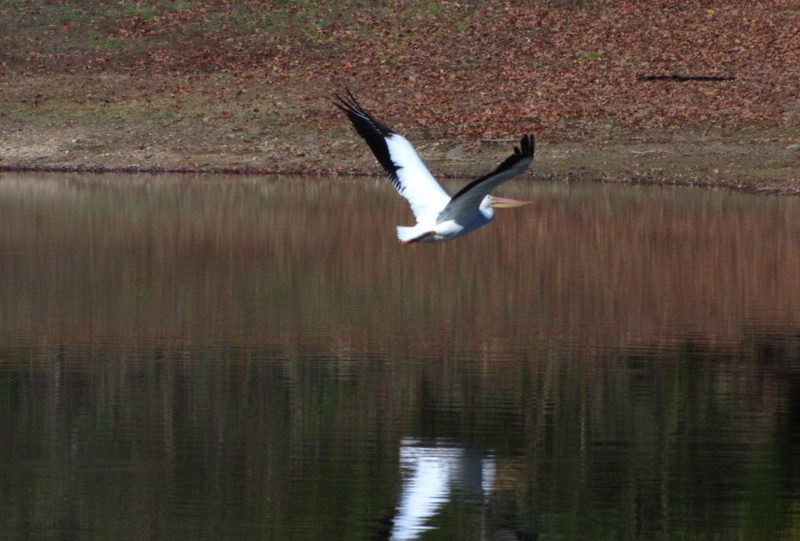 Here is the Pelican flying away. 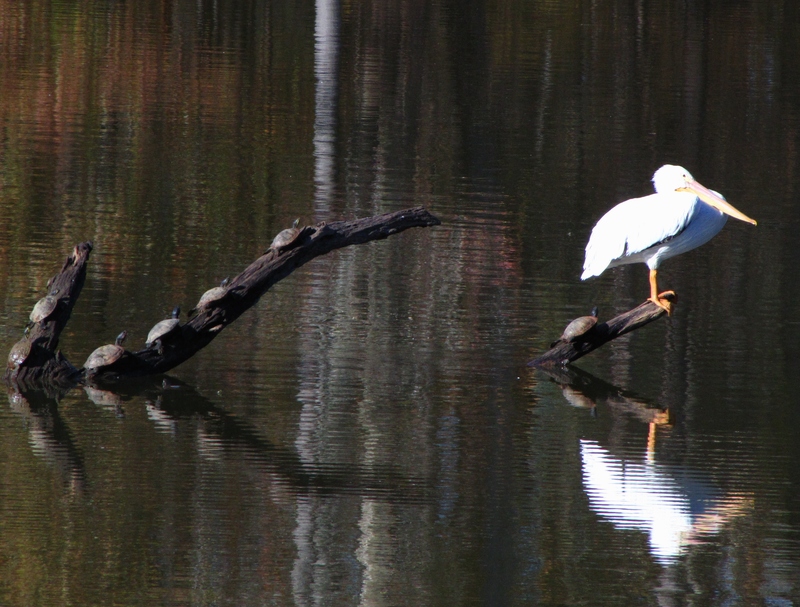 So we looked at the turtles instead. I’ve been a bird watcher for about ten years. When I started paying attention to them I was working in an inner city a lot. It was awesome to see little reminders of God’s creation in concrete settings! Ten years later I still love to watch them. I’ve been hauling my bird feeders with every move and happily sharing birdseed every place we’ve lived. Yesterday and today I was trying to get a nice picture of some of the visitors to our deck. However, between our schedule and my kids not appreciating the time I wanted to spend sitting quietly, it was a challenge. can you see the bit of blurry tail on the far left side? I was a bit too slow. ooh, a brown bird eating. 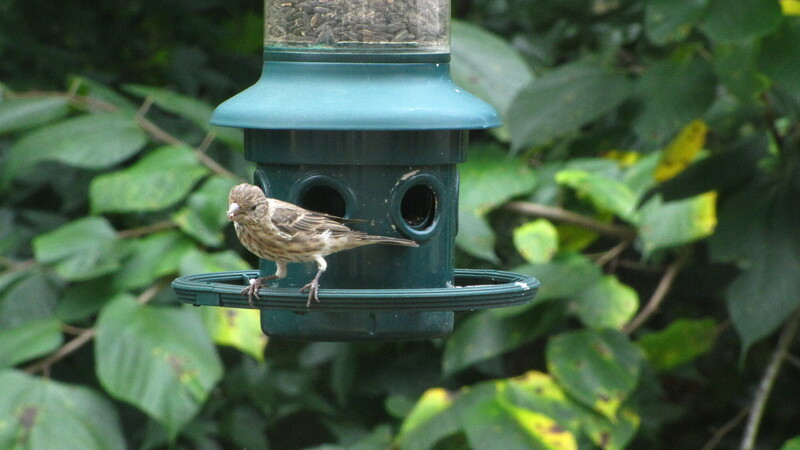 okay, not the most thrilling for a blog post, but at least it’s a decent view of the finch. 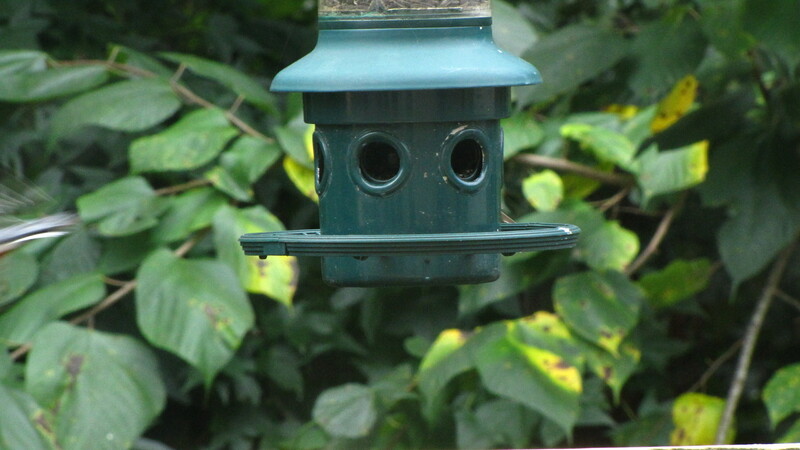 Before I knew what was going on there was another bird in my camera’s viewfinder and for once I snapped a picture fast! 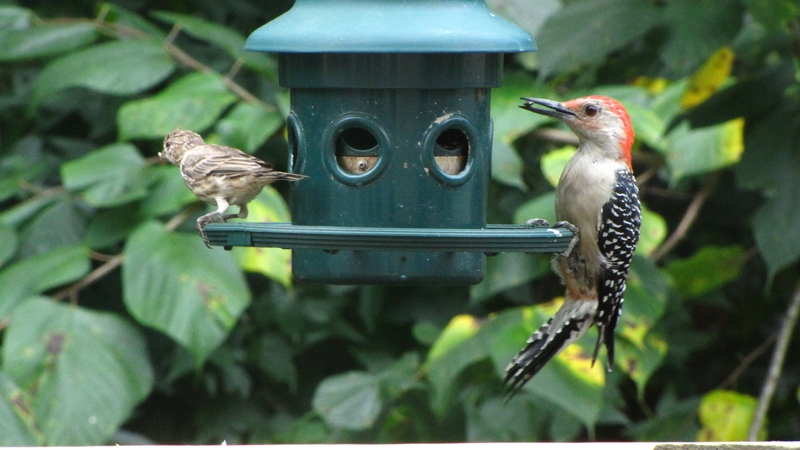 This is the first time I’ve seen a red-bellied woodpecker in this yard. He’s almost too big to get birdseed out of our feeder, but he managed! 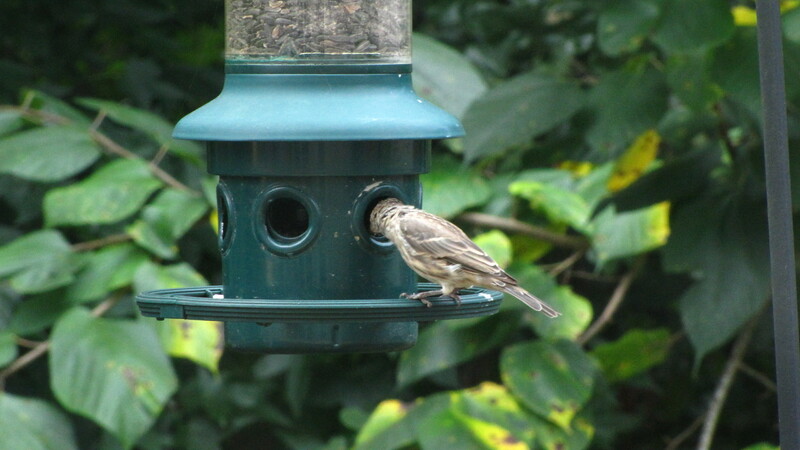 They’re not a rare bird, but it’s rare for one to visit my feeder. Sometimes (or often!) when we’re looking for one thing God shows us something even cooler. I love that. Keep searching for beauty, friends!